I cannot believe I spent a year hating my home. For all the romanticism it enjoys, Mumbai didn’t allow me to get past the sense of being suffocated by a city that doesn’t look to the skies very often. I plotted to dethrone this place from my heart. I let go. It didn’t. In 2018, I revisited my relationship with Mumbai. As kinship, health and a feeling of belonging came back to me in what had been the toughest year of my life, I started to realise that this truly was home. Mumbai had begun to return to me, one sunset at a time. 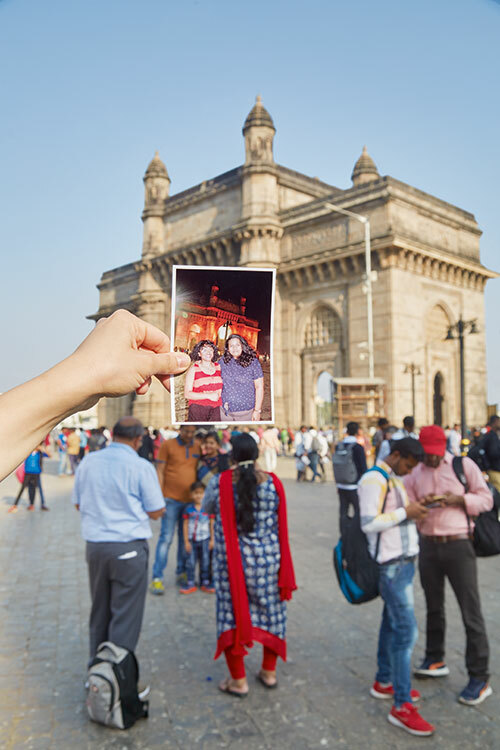 But it was a visit to the Gateway of India, in January this year, that finally convinced me. My best friend and I made a trip out of ferrying to Alibaug. 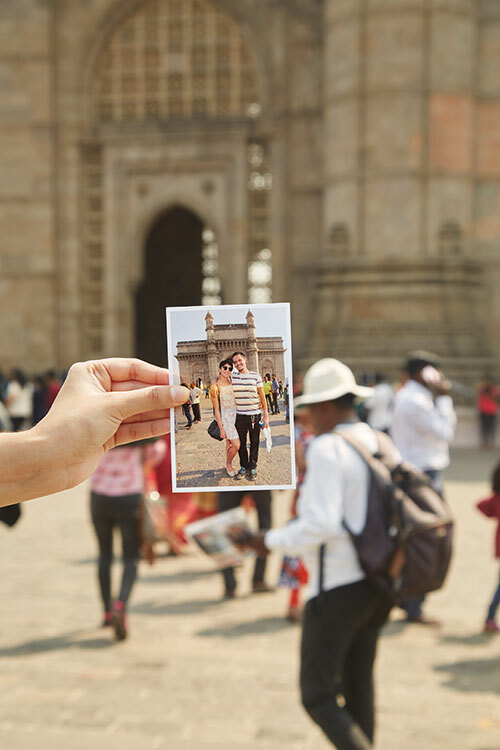 We first arrived at the Gateway of India and lingered for a while, greeted by the familiar sight of the local photographers whose cameras capture tourists against the backdrop of the monument or the Taj Mahal Palace Hotel. We had our picture taken by one of them, watching in wonder as he handed us the physical copies printed by a portable device. Looking at this photograph, taken in terribly low resolution, with appalling angles and even worse light, I sensed the warmth returning to the room in my heart-mind where Mumbai resides. It was the embarrassing proof that I belong here, along with everyone else on the street that I was standing on. I wonder if I will ever look back at the picture of my best friend and me at the Gateway of India and question the passage of time. 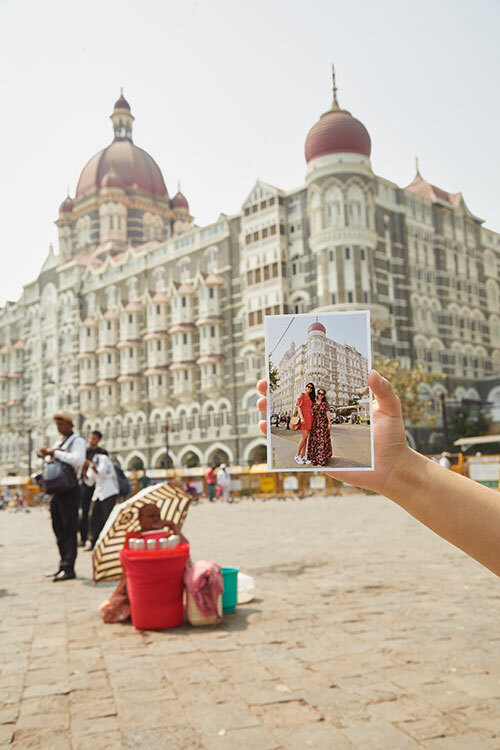 In my mind’s eye it will still be standing tall, the Taj Mahal Palace Hotel will still be glowing its colonial glow, and the photographers around them still scurrying to collect another memory of Mumbai. How does a city remember itself? What the Gateway photographers do is more than simply give us a remembrance. They also provide an education in how memories are preserved, as Mumbai-based investment banker Angel Sivan learnt. She had a picture taken at the monument in January 2019 with her friend, her son and his friend. It wasn’t the image that stayed with her as much as the memory of her eight-year-old boy’s fascination with its prints. He watched with wide-eyed curiosity as the photographer used his portable printer to make copies. The Gateway photographers also document something far more complex — love. Romantic, platonic, familial, uncategorised and strange love. For my grandfather, a man largely reticent, being photographed with his entire family by one of these men was an urgent display of affection. That the copy is nowhere to be found among his many loved ones is an irony not lost on me. In the 12 years since he’s moved here, Hogermeer has created a small, emotional ecosystem that is now flourishing among the endless other ecosystems of the city. The day Hogermeer and Nanji took that picture was a happy day. He holds on to the memory with trailing thoughts that remind him of the struggles of the city and its endurance to love, a trait he feels is embodied by the Gateway photographers. “Mumbai gives you no reason to hope and love. And yet its people do. And yet they thrive,” he says. If this city had a word, it would be ‘thrive’. The fabled “spirit of Mumbai” is nothing but people breaking their backs day in and day out to make a living — through circumstance, and not by choice. But over time, they choose their circumstances. So has been the case for the photographers at the Gateway. Many of them have day jobs. Some begin shooting pictures at the sunset hour, when the light is ideal and the sea beckons. They charge 30 rupees for a copy of each picture. Thirty rupees to hold still a moment in the city’s time. That certainly is the case for 22-year-old Shatakshi Pandey. A student of engineering in Bhopal, Pandey travelled to Mumbai in December 2018 with her entire family. They don’t gather often, so this was a particularly joyous occasion for the Pandey family. But it goes beyond officialising moments for Pandey. According to her, her father carries a watch which he purchased at Chor Bazaar when he first visited Mumbai as a little boy, and he brings it up every time he speaks of the city. The photograph of Pandey and her family is a similar talisman. 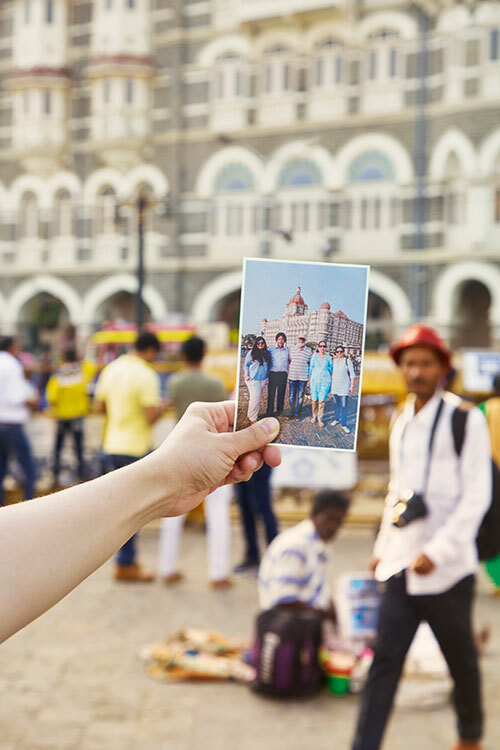 “My dad’s experience in Mumbai is tied to the watch, like mine is tied to the photo. It’s how I will remember myself there,” she adds. She was visiting with her maternal family. It was an ordinary day, one like any other. But it was the photograph handed to her that sealed the day in her memory. 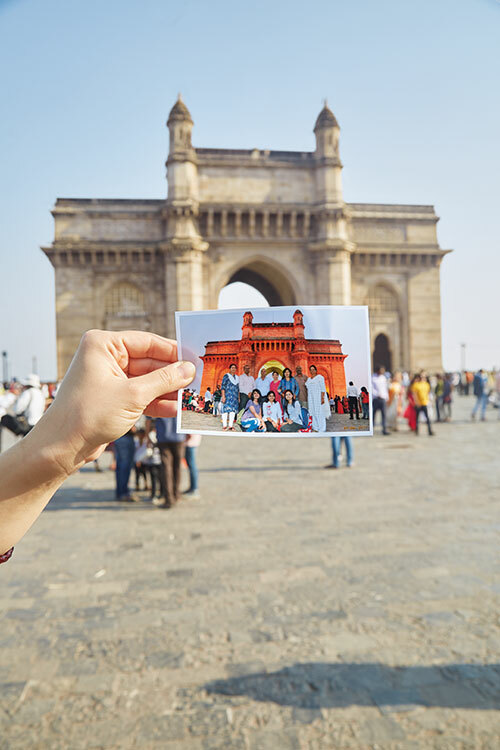 The Gateway and the Taj hotel have always been entrenched in history, but these photographers are the ones who truly mark their places in perpetuity. “We understand time shifting by how it ages things around us,” adds Kaur. The albums that the Gateway photographers carry are living pages of shifting time — thousands of pictures across the years — showing us the city as it ages.